October is National Breast Cancer Awareness Month, and Deep Ellum is doing its part to help the fight against this disease. "DEBC is taking the month of October to participate in Breast Cancer Awareness Month with our Cans for Cans charity promotion. You will see cases of our beer start hitting shelves with pink PakTech tops with special stickers denoting this support. We're proud to announce that a dollar of each six-pack sold will go to the Bradie James Breast Cancer Foundation - Bradie James' Foundation 56. Bradie James, [a] former Dallas Cowboys linebacker, lost his mother, Etta James, to breast cancer in 2001." Seek out these specially packaged DEBC products, and show your support by drinking local and drinking the Deep all through the coming month. 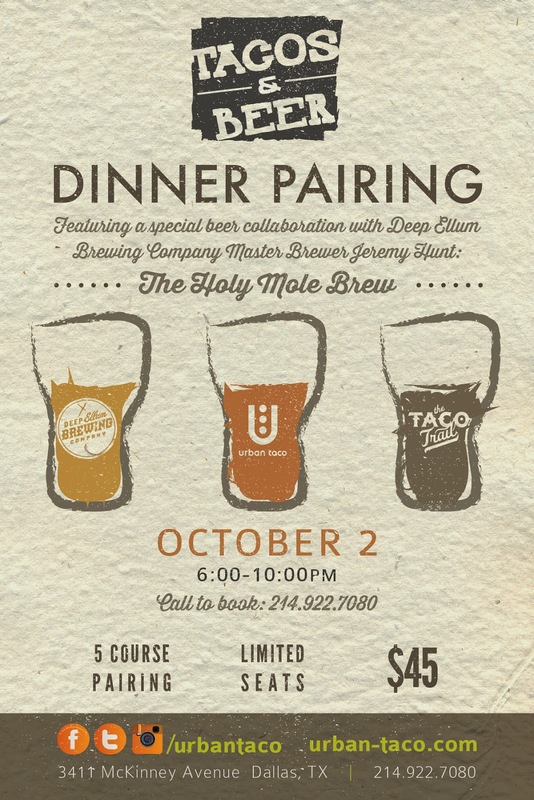 Labels: charity, Deep Ellum Brewing Co. While the specific plans and opening date of the Small Brewpub are still being kept under wraps, opportunities exist to get a taste of what the future Jefferson Boulevard establishment may have to offer. A subscription to their newsletter (link located at the bottom of their website's splash page) will get you details on pop-up tastings that have been occurring on roughly a monthly basis. 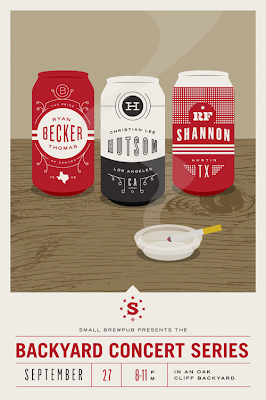 Beginning this Friday, these small backyard beer bashes will now include a musical element. 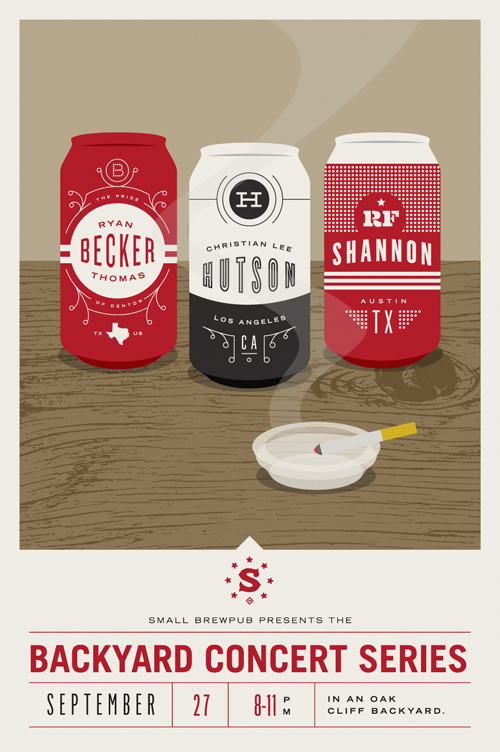 "Small Brewpub is proud to begin hosting a traveling Backyard Concert Series, with musicians from around town and abroad. The first concert will be September 27th. The concerts will be free with a suggested donation, but you must RSVP to attend. There will always be free beer provided by Small." According to the ongoing event page, the aforementioned donation will be $10. Space is limited, and the location of the show will only be available to those who RSVP. This month, Sterling Publishing aims to educate and expand your knowledge of beer with the release of two new books on their Epicure imprint. The first of these, from Tim Webb and Stephen Beaumont, might be seen as a companion to the duo's all-encompassing World Atlas of Beer. As for the other, the latest effort from Joshua M. Bernstein follows his previous title Brewed Awakening, which covered current trends shaping the craft beer industry. Working in collaboration with over two dozen international contributors, Stephen Beaumont and Tim Webb have compiled what amounts to a modern update of revered writer Michael Jackson's Pocket Guide to Beer. More than 3000 beers are rated on a star scale, which shares similar language to that used by Jackson in his earlier work. Select breweries and their products are broken down by country and region of origin, oftentimes accompanied by a local "Destination" that has been singled out as the "best of the best for local or regional beer enjoyment." The book is necessarily concise to maintain portability, but the listings provide a valuable starting point for your beer explorations, whether they be near or far. Additional features include a style guide, as well as a section on beer and food pairings entitled "Beer at the Table". 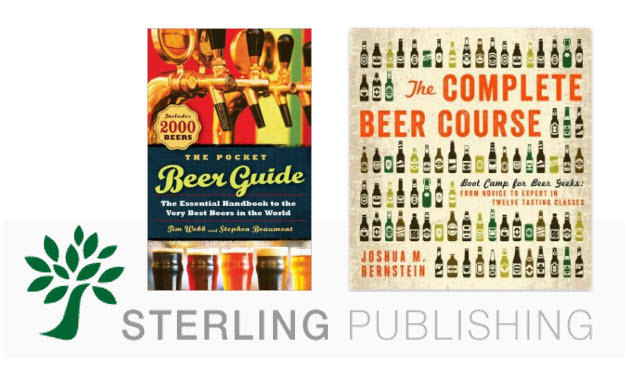 Surveying the array of topics covered in The Complete Beer Course, it's hard to argue with author Joshua M. Bernstein's choice of title. He starts with what he calls the essentials, discussing how your beer came to be (ingredients, brewing process, packaging), followed by how best to enjoy it (serving temperature, glassware, how to taste). Middle chapters focus on developing style awareness, as Bernstein encourages you to drink your way to an appreciation of better beer. Appropriately, lessons begin with lighter fare, gradually working up to brews of higher gravity and greater complexity (barrel aged beers, sours). 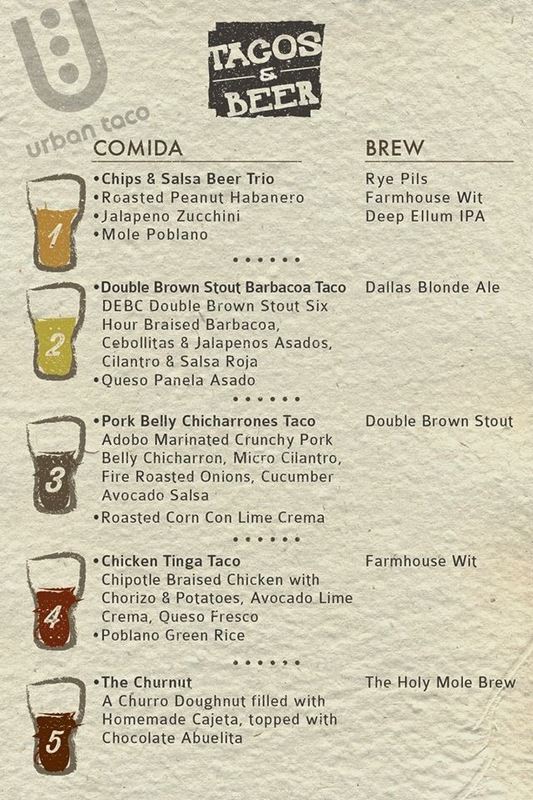 After which, Bernstein works to "Bring it on Home" both literally and figuratively with guidelines for cellaring and pairing beer with food. It's as much a reference book as it is a curriculum guide, meaning it should appeal to a wide range of readers, regardless of their level of beer expertise. Available as a Nook Book at Barnes & Noble, or in hardcover at B&N, Amazon.com and other retailers. Lone Pint Brewing Co., Prairie Artisan Ales, Southern Tier Brewing Co.
With more and more beer festivals happening on a recurring basis, a recap of events that aren't in their first year basically comes down to an analysis of the venue (if new), the beer list and what you remember of the day's consumption. Some, like the affair in question, may have a separate element with equal billing (in this case indie music), but we're just here for the beer. For their return to Dallas, Paste Untapped selected Gilley's as the place to be, and from my perspective the choice seems to have been a good one. There appeared to be ample parking, and the grounds themselves provided plenty of elbow room and facilities, at least for the early and mid-afternoon crowd of which I was a part. Would it have been nice to not be able to fry an egg on your feet (for those of us in flip-flops)? Of course, but hold this event at the same time next year and it could just as easily be 70 degrees outside. Given the surroundings, the appropriate suggestion was to come prepared and cowboy up! Moving on, the strength of the pre-announced beer list has been discussed at length by myself and others. The only question left was what to drink? Faced with the prospect of choosing which beers would make it onto your must try menu, there are any number of ways you could have gone. Personally, I sought out brews I had yet to experience. These tended to be market debuts from local or national brewers, ultra-rarities I had never been able to corral, or cask and one-off releases that may have been offered especially for the occasion. As it turned out, compared to other Texas-based festivals I've attended in the past, my list of unfamiliar flavors was longer than it had ever been before. 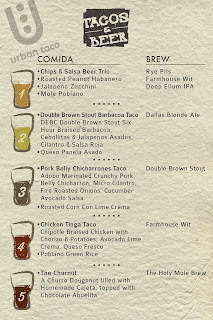 Come next year, one-upping (or even equaling) the beer list yet again will be a daunting task. Something tells me, though, that the powers that be will be up to the challenge. A good Baltic-style porter is hard to find, so coming across one aged in red wine barrels must be all the more rare. With Red Thunder, Victory has taken their seasonal Baltic Thunder and let it sit for three months in spent casks from Wente Vineyards. The barrel treatment adds a burst of grapes, wood tones and a tannic finish to a beer already steeped in cocoa and dark fruit goodness. Outside of a few exceptions, I'm generally not a fan of pumpkin beers. It's mostly a function of wanting my beer to taste like something other than just pumpkin, and many concoctions of this type are somewhat heavy-handed. Pumpking from Southern Tier isn't that way at all. It's like pumpkin pie in a bottle, but it goes beyond other beers that claim the same description with the added dimension of what tastes like a rich and buttery graham cracker crust. 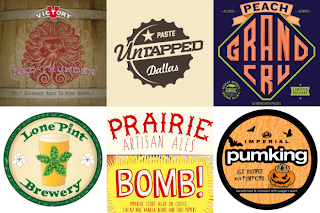 Ever since products from Lone Pint started appearing on tap walls in North Texas, it seemed like the beer we heard about most was the one that wasn't here. Only a couple of kegs of Yellow Rose have ever made it to our area, even though we've seen a handful of the brewery's other products. Word of mouth has generated a fair amount of buzz around this beer, and after only a few sips it's easy to see why. It's remarkably bright and flavorful, which may come as a surprise once you learn it's based on a single hop (Mosaic), single malt recipe. Of all things to seek out for a bit of refreshment from the summer heat, a Belgian strong ale probably wouldn't be at the top of anyone's list. Though, if it's a beer that tastes as fresh as Great Divide's Peach Grand Cru, I'm all for it. Perceptions may well have been skewed after many full-bodied samples, but despite the heavy sounding style name this brew came across as a fairly easy drinker. I walked into Untapped expecting to declare Tweak from Avery as my favorite beer of the day. This, before I had sampled even a single brew. How could I not? I count Mephistopheles among my favorite beers, and the thought of a coffee addition made it sound all the more intriguing. Plus, I had always seemed to miss it when it appeared locally, so a trip to the Avery booth was a personal priority. Then, a funny thing happened. I ended up taking a slight detour after it was mentioned that Prairie Artisan Ales had brought an off-the-menu brew in bottles, and it wasn't clear how much of it was left. The beer? Bomb! A imperial stout aged on coffee, cacao nibs, vanilla and chili peppers, it was like a molten dark chocolate bar with subtle infusions of the aforementioned ingredients. It was so well rounded it made Tweak, which I had moments later, seem a little sweet. Don't get me wrong, Tweak is still a great beer, but the day's props belong to the Bomb! Also notable: 903 Kahlua Barrel Aged Pecan Porter, Texian Brutus (an English IPA) and Armadillo Quakertown Stout randallized with cocoa nibs, toasted coconut, cinnamon and mulling spices. Admit it. Gimmicky one-off. That's the first thing you thought of when you heard about Iron Maiden's Trooper beer. Why wouldn't you? For the most part, gimmicks are the province of Big Beer, and we all know what kind of taste satisfaction those guys can deliver. Gimmick or not, though, Trooper isn't half bad. It's not transcendent, mind you, but it accomplishes what it sets out to be; that being a sessionable (ABV of 4.7%) English bitter that you can practically drink all day. The only question is who's actually going to drink it? In the U.K., it's hardly a surprise that Trooper sold over 10,000 barrels in its first two months on the market. It's a straightforward, hand-crafted English ale created by Frederic Robinsons in concert with one of the most successful heavy metal bands in history. A group which just so happens to have gotten its start in London. In essence, what we are talking about is a coupling of hometown heroes with a brewery in northern England that has been family run since the mid-1800s. It's a good beer with a local lineage. Seems like the kind of thing that sells itself. So, what about here at home? Gen Xers would appear to be the most likely converts. This demographic, born anywhere from the mid-60s to the mid-70s, probably grew up listening to Maiden (formed in 1975), so their curiosity is almost sure to be piqued. Having been exposed to craft beer prior to the current age of extremism, they are also more apt to appreciate classic styles. Not only that, numbers provided by market research firm Mintel (in an article published by Craft Brewing Business) indicate that this age group is "more likely than their younger counterparts to indicate that imported beer and craft beer are of similar value." Sounds like a win-win. Now, that's not to say others shouldn't try it. But, other than a mild lemony citrus bite on the back end Trooper isn't hoppy, nor is it imperialized or Americanized. It's easy to drink, with a bready character and only a mild bitterness. Just reading that, you can almost sense the online ratings plummeting as we speak. The message here being that if you've got an open mind, open up a bottle. Should it be produced full-time and available on draft, it's easy to see this beer securing a permanent slot on tap walls at English or Irish-inspired establishments. Maybe dump one of those historic import brands that have been bought out and demonized by Big Beer, and put on Trooper for a more legitimate taste from across the pond. In the meantime, at least locally, you'll have to settle for trying it in packaged form. Look for it in 500mL bottles at better beer retailers around town. To some degree, we've heard Ken Grossman's story before. It starts with the taste of better beer or, more accurately, the revelatory experience of drinking a beer that actually has taste. From there the entrepreneurial spirit takes over and, as they say, the rest is history. Yet, Beyond the Pale: The Story of the Sierra Nevada Brewing Co. isn't just about building a brand on a shoestring budget with a cobbled together brewing system, it's about learning what has gone into making Sierra Nevada one of the most respected brands in the craft beer industry today. For his part, Grossman is immersed in the subject to say the least. Besides being the president and owner of Sierra Nevada, he's acted as engineer, designer and fabricator for the Chico, California-based brewery as it has expanded and evolved over the past 33 years. A tinkerer from an early age, as he describes various projects you get the impression he could tell you size of every nut, bolt and fastener he's ever used when installing a piece of equipment. Such attention to detail has likely played no small part in the quality and consistency of Sierra Nevada's products over the years. Something else that factors into the quality and consistency of the brand is that Grossman is always looking for things that can be improved. He says himself that "a big factor in our continuous success and sustained growth is that we have never been satisfied with the status quo." Indeed, no material or process goes overlooked, even down to what goes into making the bottle cap liner used in their packaging flow. It's a remarkable journey, especially considering that for the better part of three decades Sierra Nevada operated with no sales or marketing department and no help from the financial sector. This no frills approach, as Grossman describes it, extends to his storytelling style as well. He wastes little time with asides and never strays far from topic. Instead, he focuses on telling the reader what he did, why he did it and what impact he expected it to have. Likely, he didn't have time to do much else. If you haven't figured it out already, this is one busy man. He's also one who re-committed himself just in time to build Sierra Nevada's fifth brewing system, this time in North Carolina. 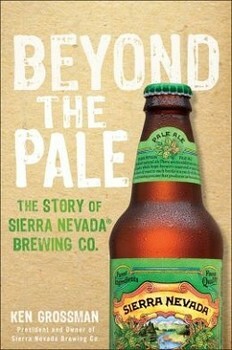 Beyond the Pale: The Story of the Sierra Nevada Brewing Co. is available on the Kindle at Amazon.com, as a Nook Book from Barnes & Noble, or in hardcover at these and other retailers. Review copy furnished courtesy of John Wiley & Sons, Inc. 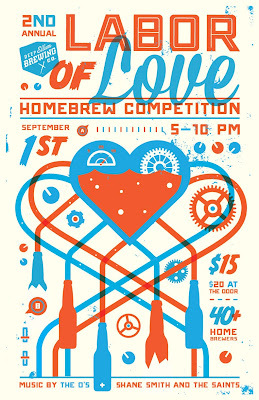 Attend a few homebrew events and one thing should become increasingly clear: it's all about the beer. There's no hype, no pretense and nothing more than friendly competition. Sure, some are a little more eager to win your vote for things like a People's Choice award, but homebrewers are quick to celebrate one another's success. That's just one of the reasons those who embrace this culture are oftentimes referred to as the craft beer community. 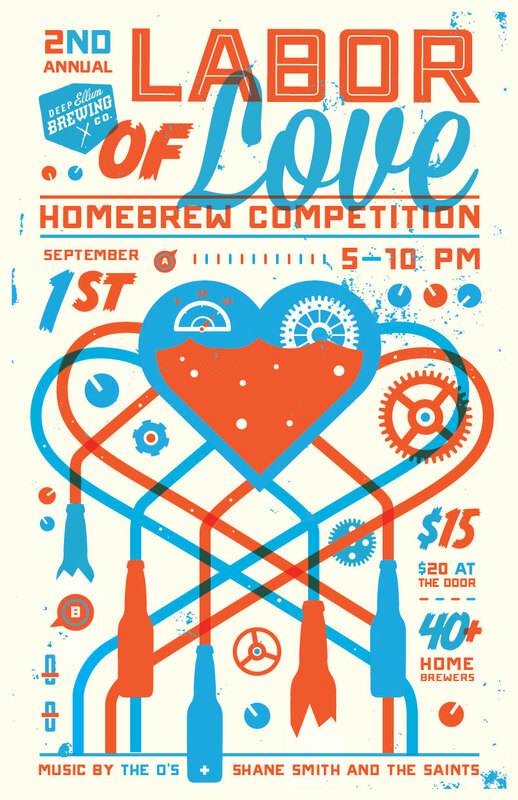 As for hype and pretense, what's great about occasions like Sunday's Labor of Love Homebrew Competition at Deep Ellum Brewing Company, is that you can walk in with no expectations. Virtually every beer tapped is one you've never had or heard anything about. Some are good, some not so good, but nobody has suggested to you beforehand how much you should love or hate any one beer. You're on an unbiased voyage of taste discovery. 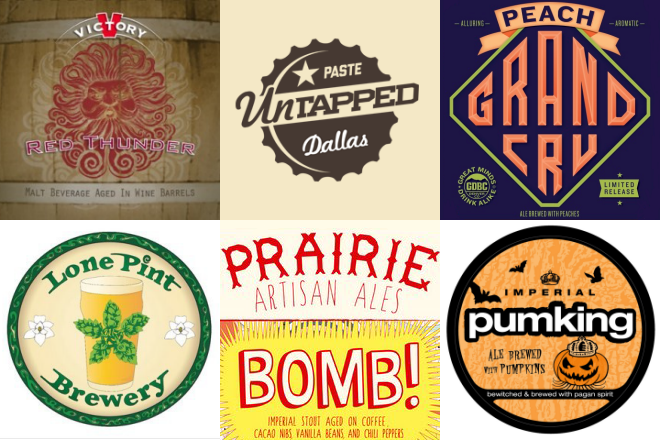 And who knows, should one of these humble homebrewers go pro, you might be among the first to taste North Texas' next great craft beer. So, what of this particular voyage? Not surprisingly, attendees navigated a sea of pale ales, IPAs and saisons. There were old favorites like Knowles Brothers #Hashtag DIPA, Last Call's Morning After (a coffee pale ale), and Freaky Deaky (a tripel) from People's Choice winner Oak Highlands, but for the most part this was a day of newly found flavors. Best in Show went to Mox Nix for their Weizenbock, a beer Deep Ellum will brew as a small-batch release in honor of their achievement. While I somehow missed that beer, others garnering recognition were among those I found to be the day's best. Mossberg Brewing: A group I've mentioned a time or two before, they earned my vote in the People's Choice competition. This time out they poured their Balle de Foin, a French saison using spelt (an ancestor of wheat), and Blonde Française, a malty blond ale fermented with a strain of yeast typically found in bière de gardes. Edgar Sengier's Belgican Brown by The Manhattan Project: Named after a Belgian who supplied the United States with uranium for the Manhattan Project, this Belgian-American brown ale took home the award for best dark beer. Tartalicious by Kimberley Rhea (poured at the North Texas Homebrewers Association booth): Voted best sour by the competition judges, this witbier was brewed with orange peel and coriander, then fermented with Roeselare yeast (a blend of lambic cultures). Hop Killa by Josh Bullard: Seemingly brewed in the spirit of Founders All Day IPA, this aromatic and flavorful session IPA offered up 85 IBU with an ABV of only 4%. Also notable: Fuzzy Memory IPA (brewed with fresh local peaches) and Black Man Brew Dry Stout (also poured at the NTHA booth).